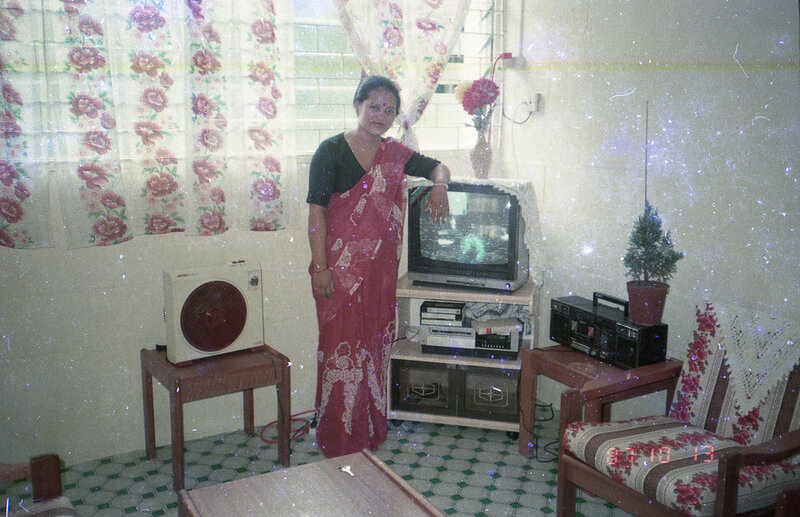 Raj Devi Gurung stands beside the television in her living room at 'O' Block. Pictured were some of the first home appliances they bought. Date: 1987. Photo Collection: Shanta Bahadur Gurung / SGPM.